Nissan is rolling out a new compact crossover for 2018 called the Kicks. Replacing the Juke in a highly competitive segment consisting of the Mazda CX-3, Hyundai Kona, and Ford EcoSport, the Kicks will have its work cut out for it. 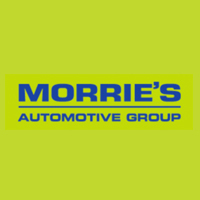 To learn more about the Kicks, head on over to Morrie’s Brooklyn Park Nissan and make sure to register for a free pair of tickets to the 2018 Twin Cities Auto Show where you’ll be able to see the Kicks in person!